White-Collar Crime Punishment: Too Much or Not Enough? What factors should be considered in determining the length and terms of a sentence? Should a crime’s violent or non-violent classification carry the most weight? Frank S. Perri offers that focusing too much on a crime’s violent or non-violent nature can lead to a punishment too lenient – or not severe enough – for the crime committed. If businesses don’t impose controls, policies and procedures over credit card processing and if they don’t perform daily and monthly reconciliations, employees with access to the credit card systems could process fictitious or fraudulent refund or credit transactions to their personal credit cards. Learn how to avoid this fraud. From the initial interviews to the final compilation of documents, Allen Brown, CFE, CPA, explains the essential components of conducting an internal investigation that will hold up in court. Companies struggle to determine exactly who owns the proactive and reactive responses to fraud within their organizations. Here are some practical ways to determine “who owns fraud” and accelerate anti-fraud programs within any company. Client Confidentiality and Fraud: Should Auditors Be Able to Exercise More Ethical Judgment? Has the accounting profession created a situation in which auditors’ ethical judgments are impaired by their professional obligations when they find fraud? The Sarbanes-Oxley Act of 2002 and revised professional standards, such as SAS No. 99, provide better guidance for investigating fraud. However, the profession’s standards of client confidentiality might be working to limit the ethical choices of accountants. Regaining rights to stolen intellectual property can be a perpetual nightmare for companies operating in China and other countries with similar governmental and law enforcement structures. The common raids-based approach to recovery can fail because of corruption and double-dealing. 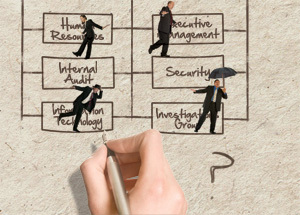 However, many companies are now using the more effective intelligence-based approach, which requires the skills of a CFE. View the current issue instantly on your computer! 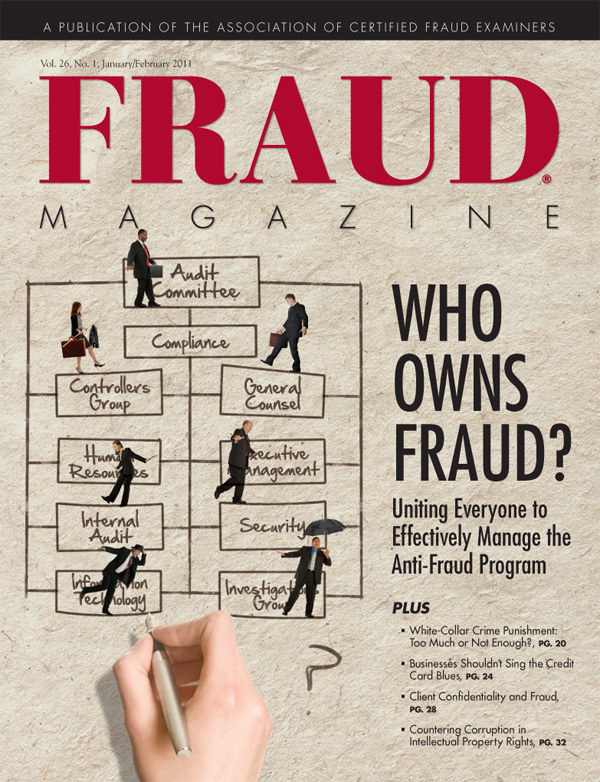 ACFE Members can now view a digital version of the current issue of Fraud Magazine for free.